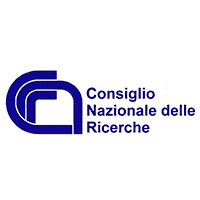 The National Research Council (CNR) is the leading public organization in Italy tasked with the responsibility to carry out, promote, spread, transfer and improve research activities in the main sectors of knowledge growth as well as its applications supporting the scientific, technological, economic and social development of the Country. To this end, the activities of the organisation are divided into macro areas of interdisciplinary scientific and technological research, concerning several sectors: biotechnology, medicine, materials, environment and land, information and communications, advanced systems of production, judicial and socio-economic sciences, classical studies and arts. CNR is distributed all-over Italy through a network of institutes aiming at promoting a wide diffusion of its competences throughout the national territory and at facilitating contacts and cooperation with local firms and organizations. 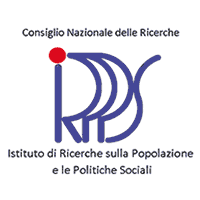 Institute for Research on Population and Social Policies (CNR-IRPPS). In some activities of the EVIDENCE project CNR-ITTIG will be supported by the Institute for Research on Population and Social Policies (CNR-IRPPS). 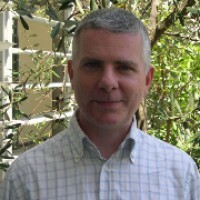 Fabrizio Turchi is the technological director at ITTIG and took a degree in Mathematics from University of Florence. His research activities are the applications of IT technology to the legal domain, legal standard and legal drafting, use of the XML technologies to devise legal documents models. He has been designing and developing Web applications, formal parsers to identify parts and structures that exist inside textual documents and natural language processing techniques applied to legal documents for knowledge extraction, such as automated text classification, anonymity processes based on Named Entity Recognition (NER) and for semi-automatic building up of legal ontologies. 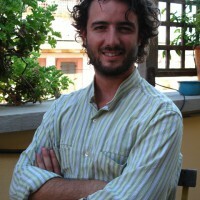 Sebastiano Faro is Primo Ricercatore (Senior Researcher) at CNR-ITTIG. He has a degree in Law (1992) and a Ph.D in Administrative Law (1999). His main research areas involve: EU law, ICT and law, techniques and methods for legal documentation and for the creation of administrative and legal information systems; techniques and methods for the electronic analysis, drafting and evaluation of legal acts; formal models for the organization of legal knowledge. 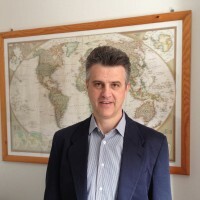 For ten years, he was professor under contract of European Public Law and Legal Informatics at the University of Florence (Master in European Studies Programme) and the University of Lecce. He has worked in several national and international projects such as the NiR (Norme in Rete – Legislation on the Net) portal, Caselex (Case Law Exchange) and the research project promoted by OPOCE on the interoperability between the Eurovoc thesaurus and other thesauri of interest. In 2009-2010, he was the coordinator of the CARE (Citizens Consular Assistance Regulation in Europe) project funded by the EU Commission under the Fundamental Rights and Citizenship Programme. He is now involved in the SMART and RESPECT FP7 projects. He coordinated CNR-ITTIG’s department on Computer Law and is now the coordinator of CNR -ITTIG’s Department on Information Systems for the Law and responsible for the Departmental Project of CNR “Law, Technological Innovation and Legal Culture”. He won one of the 100 prizes given to young researchers by CNR for having achieved innovative results of special excellence during 2005. He has published numerous academic articles and delivered conference papers on various issues. He is one of the editors of the international Series “Diritto Scienza Tecnologia/Law Science Technology” published by ESI, Naples. Mattia Epifani is CEO at Reality Net – System Solutions, an Italian consulting company involved in InfoSec and Digital Forensics. He works as a Digital Forensics Analyst for judges, prosecutors, lawyers and private companies, both as Court Witness Expert and Digital Forensics Expert. He obtained a University Degree in computer science in Genoa (Italy) and a master in Computer Forensics and Digital Investigations in Milan. In the last few years he has obtained several certifications in Digital Forensics and Ethical Hacking (GREM, GCFA, GMOB, CIFI, CEH, CHFI, ACE, AME, ECCE, CCE, MPSC) and took some SANS classes (Computer Forensics and Incident Response, Windows Memory Forensics, Mobile Device Security and Ethical Hacking, Reverse Engineering Malware, Network Forensics Analysis). He is a regular speaker on Digital Forensics matters in different Italian and European universities (Genova, Milano, Roma, Bolzano, Pescara, Salerno, Campobasso, Camerino, Pavia, Savona, Catania, Lugano, Como, Modena e Reggio Emilia) and events (Security Summit, IISFA Forum, SANS European Digital Forensics Summit, Cybercrime Conference Rome, Cybercrime Conference Sibiu, Athens Cybercrime Conference, DFA Open Day). He is also a member of DFA, IISFA and T&L Center. Sara Conti, graduated in law, received her Master's degree in “Indexing of printed, digital and multimedia documents in a digital environment” at the University of Tor Vergata, in Rome. Since 2010 she is entitled to practice as a lawyer. She worked as expert consultant for companies in the field of privacy from 2003 to 2012. 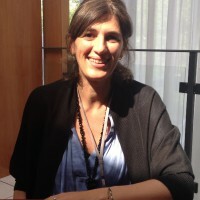 She has been working at the Institute of Theory and Techniques of Legal Information of CNR (ITTIG) first as a documentalist and from 2012 as legal technologist. 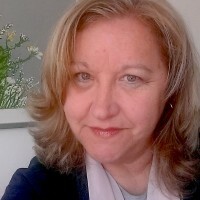 Her current research interests deal with indexing techniques in a digital environment, implementation of legal database, strategies for on line legal information retrieval, advanced digital conservation procedures. The Institute for Research on Population and Social Policies towards the Italian National Research Council (CNR-IRPPS) is an interdisciplinary research institute that conducts studies on demographic and migration issues, welfare systems and social policies, on policies regarding science, technology and higher education, on the relations between science and society, as well as on the creation of, access to and dissemination of knowledge and information technology. Study of changes in society related to the spread of knowledge and information technology. Director of the Institute for Research on Population and Social Policies of the Italian National Research Council. Her main research interests concern science and education policy and are focused on studies on higher education and research and particularly on human resources for science and technology, on mobility issues of scientists, engineers and high skilled personnel, gender issues, science and society and social aspects of technology. She is vice-chair of the OECD Group on Research Institutions and Human Resources and is Italian delegate to the Organization for Economic Cooperation and Development, (OECD), Paris, for the activities stemming from the Committee for Scientific and Technological Policy. She chaired the OECD Group on Steering and Funding of Research Institutions from 2004 to 2008. 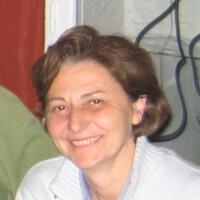 She has been national Expert in many OECD Activities concerning postgraduate training, higher education, women in science, employment and mobility and national coordinator of the Group on Human Resources for Science and Technology preparing the Canberra Manual for the measurement and indicators of HRST for OECD. She has been member of the G7 Group on Public Understanding of Science and Technology, cooperating with the NSF, Washington. At national level she has chaired the CNR Committee for studies on HRST and performed in many research activities in co-operation with University and other research institutions. She has carried out also advising activities, mainly to the Ministry of University and Research in preparing the National Research Plan 2004-06, on ‘Human Capital’ topics and the 2010-13 Plan on Internationalization of Italian Research System. She carries out consultancy activities for the Ministry of University and Research as a member of the Commission on Internationalization of research. 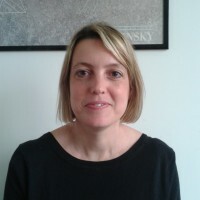 She has worked and is currently working, in several European projects and networks funded by the European Commission as WP Leader: MAPPING, RESPECT, SMART, CONSENT, SET-DEV. Researcher of the Italian National Research Council at the Institute of Research on Populations and Social Policies. Her research interests are prevailingly in the area of the analysis of the impact of ICTs on information management and communication processes. Within this context, research topics such as information flow, open archives, network communication, as well as semantic and structural analysis of scientific documents, exchanged in a collaborative environment have been dealt with in scientific papers and publications. She has been responsible in research projects where information systems have been developed. She also participates in several European projects: MAPPING, RESPECT, SMART, CONSENT. 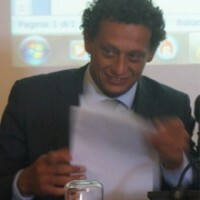 Lucio Pisacane, sociologist, is a researcher at Institute of Research on Population and Social Policy of the Italian National Council for Research. From 2007 he has been working for CNR-IRPPS focusing on social policy research programmes and on studies on higher education and research. He has worked for the European Project SET-DEV, Scientific and Technological Responsibility in Developing and Emerging Countries (Kenya and in India) and for the European Indicators and Ranking Methodology for University Third Mission (E3M), SMART (Scalable Measures for Automated Recognition Technologies), RESPECT (Rules, Expectations and Security through Privacy- Enhanced Convenient Technologies).